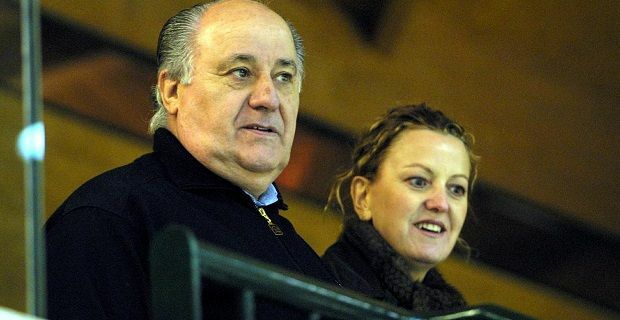 Amancio Ortega is always featured on the Forbes Billionaires list. He’s routinely in the top 3 of any richest man on the planet list. The Zara owner is worth $57 billion. We take a look into his bank account to see where all the cash is coming from. The Zara fashion brand, which produces well-made clothing that’s based on the current catwalk fashions, is at the heart of the Spaniard’s wealth. They get their clothes from design to store within weeks which helps keep Zara fashionable. Lively presentation, great marketing and good pricing are at the heart of the firm’s ethos and help provide Ortega with a hat full of cash each year. Their sales routinely outstrip rivals like H&M so year-on-year profits on holding company Inditex keep improving. Ortega is a wealthy man because he owns 60% of Inditex. He’s a clever man who stays away from the limelight and never gives interviews. Although he’s no longer chairman of the group, he remains very vocal about the firm’s direction. Ortega has helmed the firm through massive changes since Inditex’s inception many decades ago. When the firm was established with his ex-wife Esther Koplowitz they made lingerie and dressing gowns from their living room. When the rich want to get richer, they put their money into properties. Now that he’s a multibillionaire, Ortega owns a massive portfolio of property which is worth a cool $4 billion. He has property in London, Chicago, San Francisco, New York and Madrid. Although he had all that money what he values most of all is privacy. Ortega has used his wealth to safeguard his lifestyle in the past. He reportedly paid $500,000 to journalists to prevent the publication of images of his daughter on honeymoon.